Preparation is the key to success, and this is why this May, organizers have announced the Fourth Riviera Nayarit Touristic Half Marathon 2012 that will take place on November 17, but is already revving up the engines to attract a larger number of participants and to create a better competition. Since the creation of the Riviera Nayarit brand five years ago, a priority for the industry has been to attract high quality tourism that poses a low environmental impact. This isn’t just a marketing issue, but a strategy to achieve an integral development of the community and to increase not only the raw economic indexes, but also the well being of the society as a whole – and high performance sports are a key niche to achieve this goal. 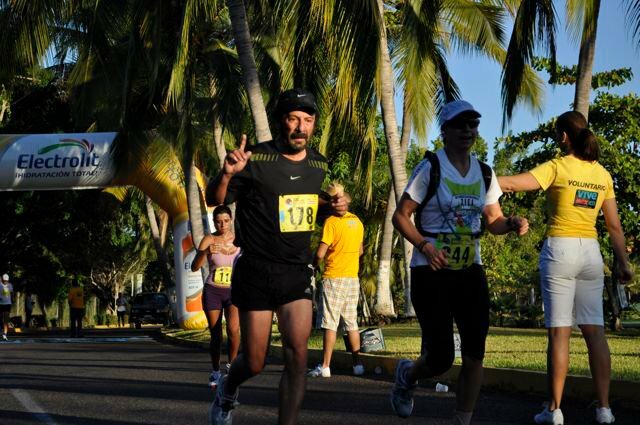 The strong impulse that Riviera Nayarit is receiving through events like the Touristic Half Marathon, which is promoted by the Convention and Visitors Bureau (CVB) allows to attract tourists and specialized media that cover these type of events. The event organizers already have the support of the Mexican Athletics Federation, and of the Athletics Association of Nayarit, which is endorsed by the AIMS (Association of International Marathons and Distance Races). Mexican and international runners are now invited to participate in the fourth edition of the Touristic Half Marathon of Riviera Nayarit, which will take place on the main avenues of the Nuevo Vallarta touristic development. Extraordinary natural landscapes, golf courses, a marina, hotels, ocean views and 6.2 miles of navigable channels comprise the route that awaits runners, amidst an ambiance that combines festivities, camaraderie and sports. The formula to organize this half marathon has been the following: bring together the experience from top organizers, and choose an amazing place with first-class lodging and infrastructure, impeccable streets and exuberant beauty; secure the endorsement from the FMA and the State’s Athletics Association to guarantee the support of all pertaining authorities, and obtain the AIMS certification to give the event an international scope. In previous years, Riviera Nayarit even caught the eye of the AIMS representatives that measured the route, who stated that in the more than 150 destinations that they’ve worked on, they hadn’t had an experience like the one that this route offers.